We’ve struck GOLD at Apex Awards! When quality goes into creating innovative solutions, it shows. We’ve been constantly raising the quality bar and the world has been taking note of it. It hasn’t been long since the confetti settled down post-CMMI Level 3 certification and we have another accolade to flash our silverware. Correction. GOLD it is! Our maiden entry at the Apex Awards has won GOLD in the “Electronic Media” category. We sit pretty at the top of the winners list of the 2017 Contest put out by the Apex Awards team for our entry “A Date with Data Dave”, a Microlearning nugget on Data Security designed using the Parallax web-based scrolling technology. The solution has been a hit with our customers for its unique appeal, ease of learning and high learner engagement. This award is a testimony to the high impact learning experience that it provides and lends further credence to our claim that our solutions are worth their weight in gold. 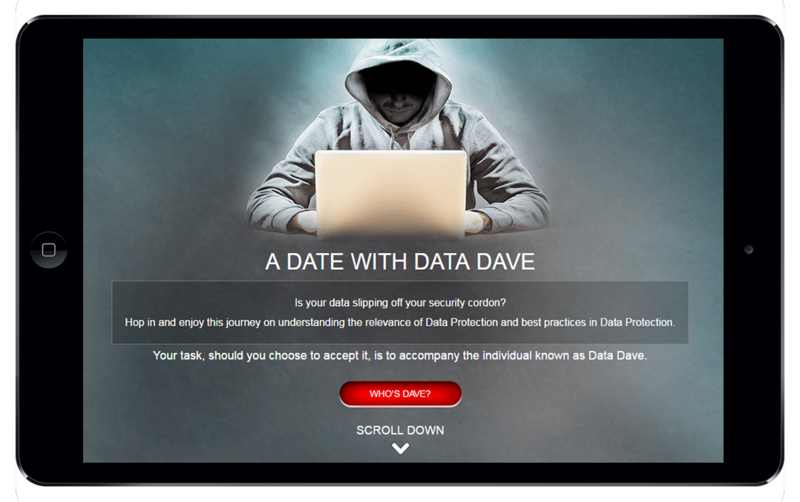 “A Date with Data Dave” is an informal Microlearning nugget on the Compliance subject of Data Security and is part of a larger suite of courses on Compliance that we have developed. The information provided is a prequel to a comprehensive module on Data Security and provides preliminary information about the subject. The nugget is in a responsive web-based training format called Interactive parallax based scrolling that is very popular on websites and is now being used as a Microlearning technique. The learner needs to basically take a “scrolling” journey. A fictional character of “Data Dave” is introduced to the learner at the beginning who takes the learner through three offices with varying levels of data security and provides tips and best practices to protect data along the way. As opposed to most Compliance trainings that are deemed “boring”, this Microlearning experience featuring engaging visuals and conversational language coupled with interactivities at various stages make the complete journey engaging.